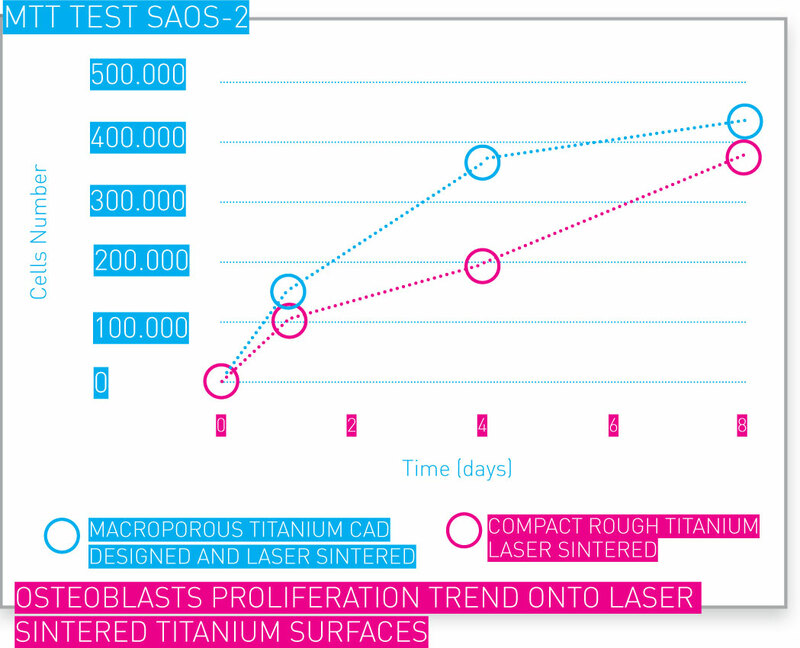 Implantable-grade titanium (Ti) and Ti alloy (Ti6Al4V) are used in the additive manufacturing process. Their chemical and mechanical properties comply with ISO and ASTM Standards. Example of friction coefficients obtained with different porous structures. With additive manufacturing, 3D metal networks can be CAD-designed and built up together with devices’ solid parts. We offer design and manufacturing of porous engineered porous structures. 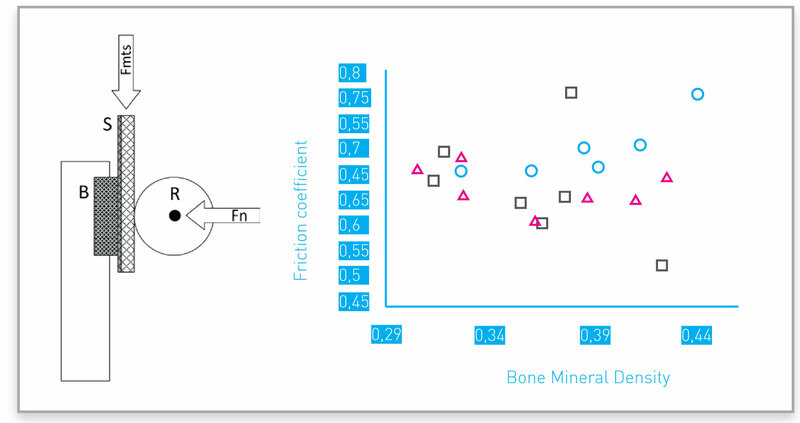 Porous surface can be designed and manufactured to achieve desired friction against bone: one example is reported in the picture. Additively manufactured metal porous structures can be designed and manufactured to achieve desired adhesion and cohesion strengths, in full agreement with applicable standards. One example is shown here. 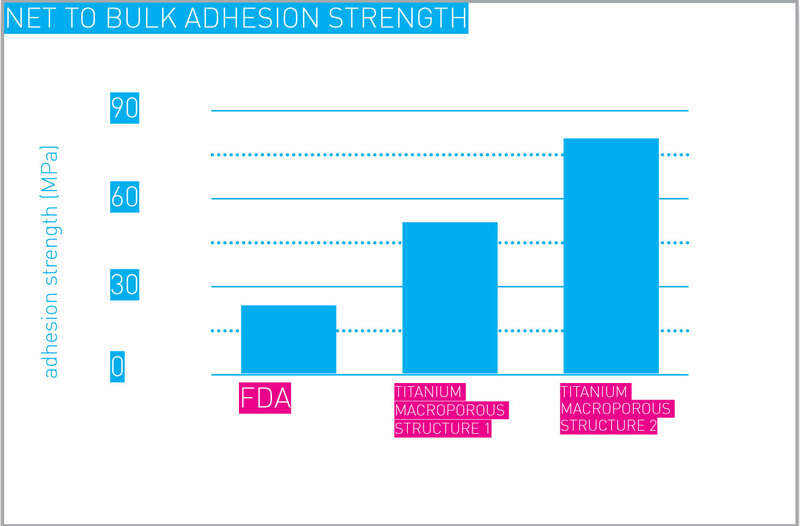 Net to bulk adhesion strength. Values shown are relative to a couple of porous structures designed and manufactured for exemplification purposes. In vitro tests have assessed cell viability and proliferation in additive manufactured Ti networks.